The entrepreneurial spirit in South Africa is currently just as endangered as the elephant and lion. Entrepreneurship has dramatically fallen, thus worsening the economic outlook and employment opportunities for South Africans. Total Early-Stage Entrepreneurial Activity (TEA), a measurement for entrepreneurship, dropped 20 percent within a year, according to the Global Entrepreneurship Monitor (GEM) 2012 South Africa report. South Africa’s early-stage entrepreneurial activity moved from 9.1 percent to 7.3 percent. The country’s economic state and fight against unemployment only looks more dismal with the low entrepreneurship rate. South Africa’s unemployment rate stood at 25.2 percent in 2012 and nearly 4.5 million people were jobless. The effects of stagnant entrepreneurship prevents the potential for new jobs and a thriving economy, which can even further threaten South Africa’s suffering ecosystems and wildlife. Rigid entrepreneurship regulations and onerous labor laws are catalysts for waning small and medium business development. Mike Herrington, team leader of GEM South Africa and Executive Director of GEM Global, identifies other components, such as a poor education system, crime, government corruption, and nepotism for continuing entrepreneurial loss and a lack of business development. 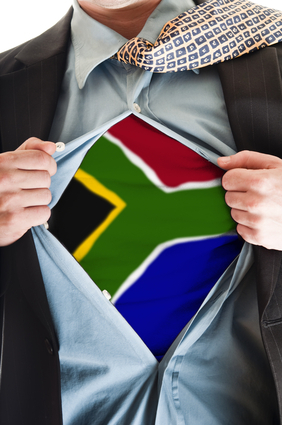 Intentional entrepreneurs in South Africa account for only 14 percent of the economy, according to the report. It’s a low number in comparison to the average 27 percent of other efficient economies, reports gemconsortium.org. The concerning low number of South Africans participating in early-stage entrepreneurial activity has decreased to 5 percent, which also correlates with the country’s poor education. Herrington adds that entrepreneurial success is founded on problem-solving and quick-thinking skills among challenging and changing business environments. Below-average marks in young South Africans for maths and sciences is linked to grave entrepreneurial prospects. South Africa’s 1.5 million registered small and medium businesses have limited resources and a “hostile regulatory environment,” describes Moon of the South. Complying with regulations is costly, timely and complex. To start, an entrepreneur often lacks the funds to hire a consultant who can advise on compliance issues. South Africans are also discouraged from entrepreneurship because of delays and lack financing and credit. Peru, in contrast, supports startups with a free and easy bureaucratic process, while South Africa creates obstacles for entrepreneurs. As a result, Peru’s Total Early-Stage Entrepreneurial Activity is three times higher than South Africa’s. South Africa even scored the lowest for entrepreneurial opportunities, capabilities and intention among 10 sub-Saharan countries in Africa. Entrepreneur Colette Symanowitz also shed light on the issue by spotlighting South African entrepreneur Herman Mashaba’s insight on stifling labor laws. Because it’s too risky and costly for businesses to hire and fire employees, the growth and expansion of businesses is limited. Small businesses in South Africa operate in a hostile environments and feel as if they don’t have the capabilities to hire people who deliver and fire people who don’t. Inadequate hiring and firing processes, troublesome labor laws and even higher minimum wages only perpetuate the country’s grim unemployment rates. Fostering entrepreneurship can help create jobs and build the economy in South Africa. Revised labor laws and government policy for economic development, along with land protection and animal conservation from organizations such as the African Wildlife Foundation (AWF), can help South Africa reclaim its thriving economy and beautiful wildlife.